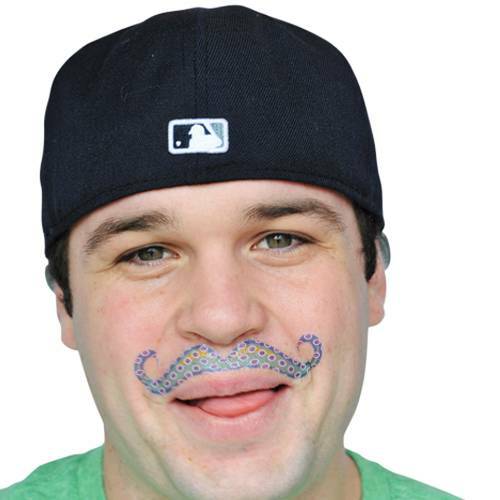 Add some bling to your outfit with a glittery temporary mustache tattoo. Easily applies with water and easily removes with included alcohol wipes. Suitable for any occasion, these calypso glitter tattoos will really stick whether your are drinking, eating or sweating. 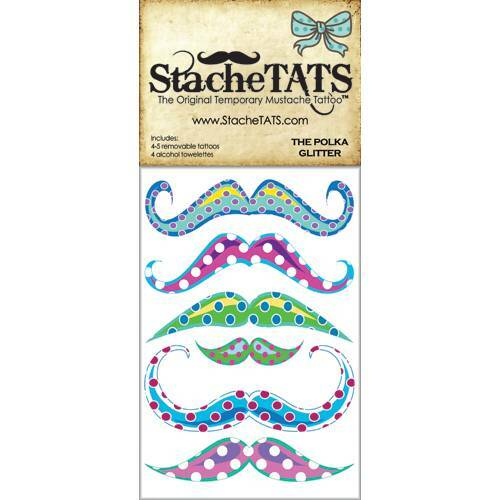 Comfortable to wear, these tattoos will last until you wipe them off with an alcohol wipe. 100% fda approved, eco friendly ink. 1 Sheet of tattoos included in set.